This week marks the 5th anniversary of the iTunes App Store and to celebrate, Apple is offering several awesome apps at low and free prices. I’ve just started downloading and testing a few of them but I recommend you use the link below and download them for free while they last. 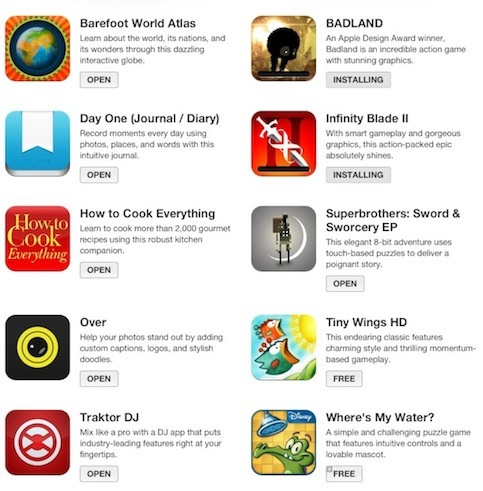 The iTunes App Store has not been an easy storefront to walk thought. It’s becoming increasingly difficult to find new apps. Granted the App Store will feature new and noteworthy apps but you really need to be a big player to land on those pages. Apple has tried to address the issue by expanding their “Genius” suggestions into the app store and enabling location based recommendations however it still remains an uphill battle. With that note, lets talk about the 5th anniversary of the iTunes App Store. I will say that Barefoot Atlas is a completely entertaining and educational way to learn about the world. Also #sworcery is a great and beautiful graphical spin off of your standard text based games. The game really reminds me of HomeStarRunner.com’s Dungeon Man which features a great “Baby Throwing” command! Take advantage of the 5th anniversary of the iTunes App Store today! Download them now while you can! 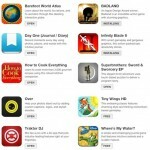 app store BADLAND Barefoot World Atlas Day One Journal How to Cook Everything Infinity Blade 2 iOS ipad iphone itunes Over Superbrothers: Sword & Sworcery EP Tiny Wings Tiny Wings HD Traktor DJ iPad Traktor DJ iPhone Where's My Water?